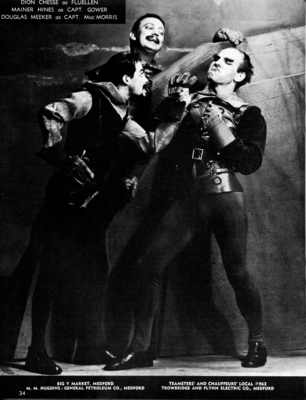 Dion Chesse as Fluellen, Mainer Hines as Capt. Gower and Douglas Meeker as Capt. MacMorris.